At the simplest level, a user interface (UI) includes the web and application pages, visual elements such as buttons and icons, and navigation tools you interact with when using an application. The somewhat newer term, user experience (UX), refers to the experience a person has as they interact with every aspect of a company’s products or services. These two terms are the foundation of the user-centered research and design that companies use to create successful, effective technology products. Defining UI and UX would take much more time and space that I want to expend for this post. 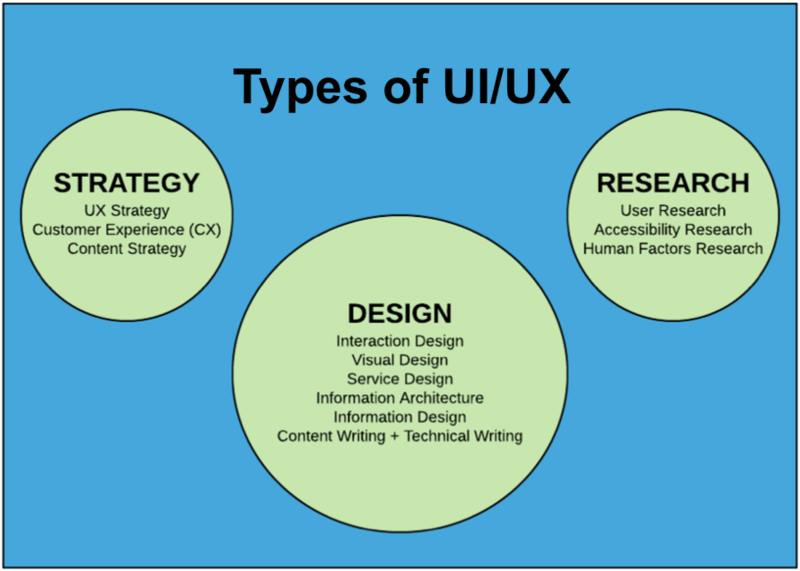 In a nutshell, however, UI and UX occurs in three different areas: research, strategy, and design of products. Within each of these areas, there are several subcategories. As you can see in the illustration, UI/UX includes many areas of knowledge and expertise. 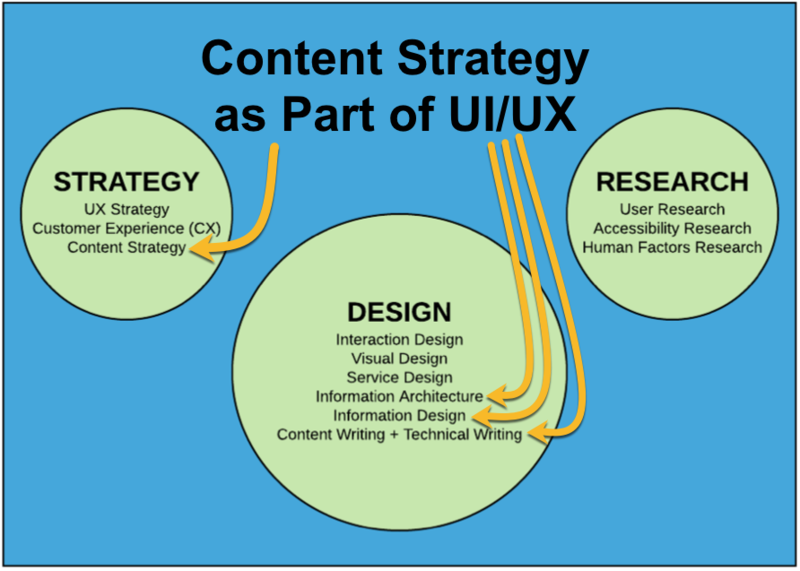 Having a content strategy is a key part of having effective UI and UX strategy. With an effective content strategy, users can quickly and easily find the information they need. This makes their experience with your company, products, or services positive. Especially when customers are experiencing difficulty, a well-designed content strategy can help them solve problems on their own, often without having to contact your company. This not only saves your company or organization money, but it also helps retain customers. When it comes to designing the UI/UX for an application or website, information architecture (the way information is organized), information design (the way information is presented), content writing, and technical writing are all part of the design. They are also all part of the content strategy. As you can see, content strategy is a large part of UI/UX. Photo by Alvaro Reyes on Unsplash. Next Post Content Strategy—Do You Know Why You Need One?